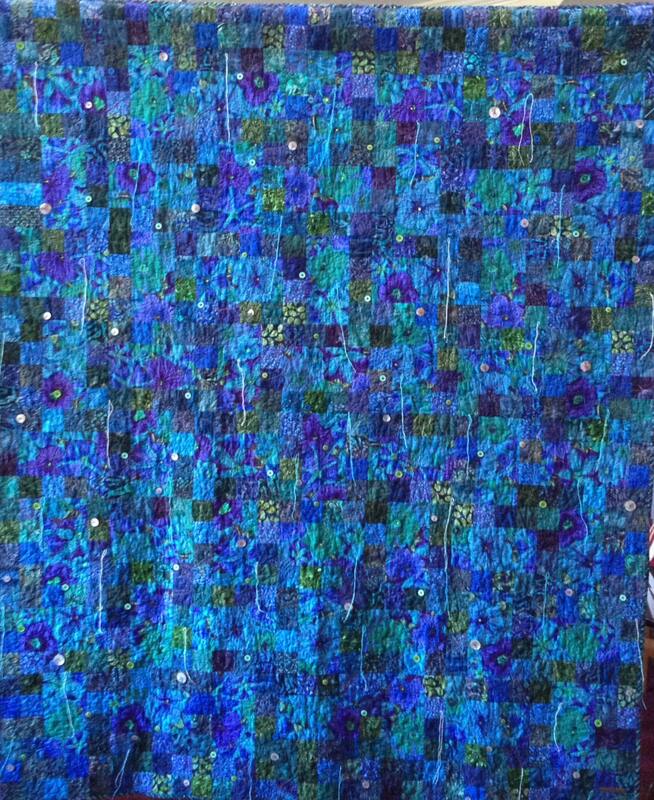 "Cascade of Dreams" is a vibrant blue art quilt that measures 60 x 73 inches. 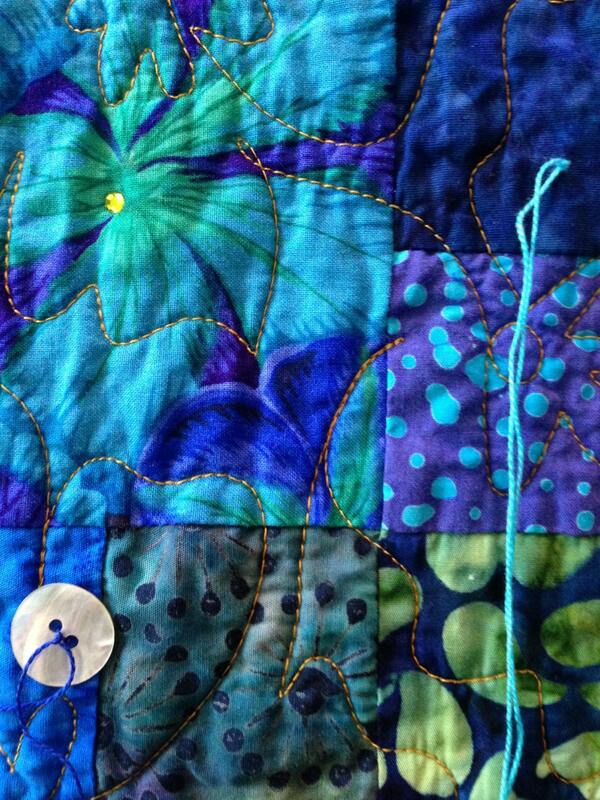 If blue is your color, you will love this quilt. The background pattern is a mixture of bold floral and luscious batiks. 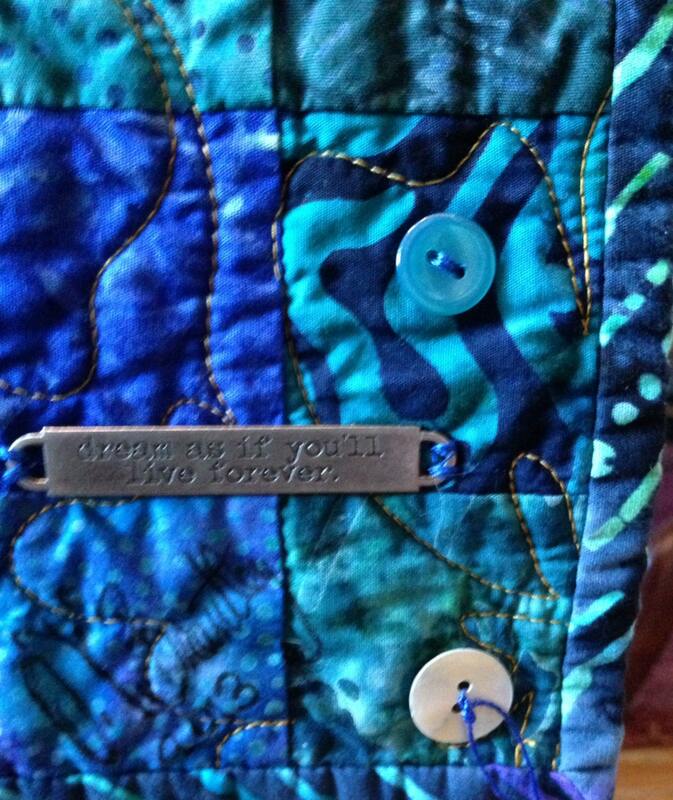 The quilt is heavily embellished with buttons, crystals, charms and thread. The embellishments represent our dreams -- sometimes vivid, but other times only tiny threads can be remembered. 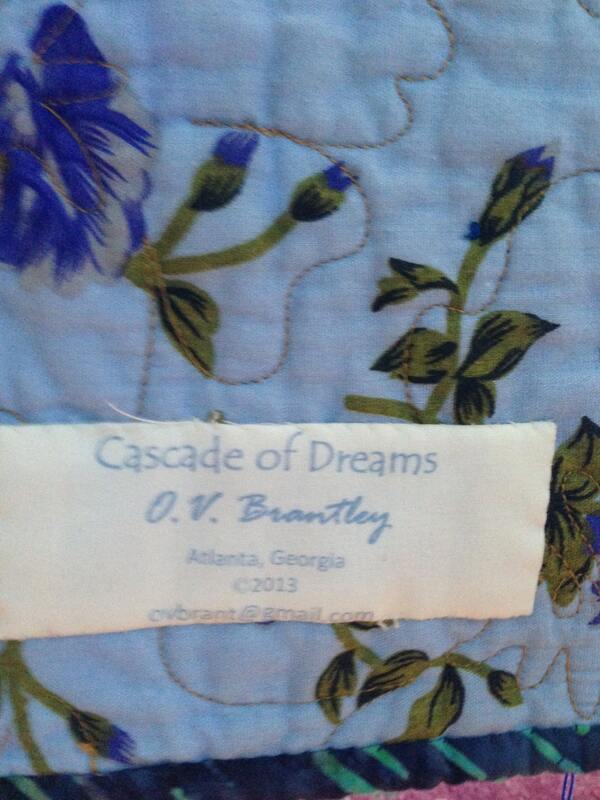 There is a hanging sleeve on the back of the quilt for easy display, and a label that documents the quilt. I also signed and dated it on the front. This quilt is one of a kind. 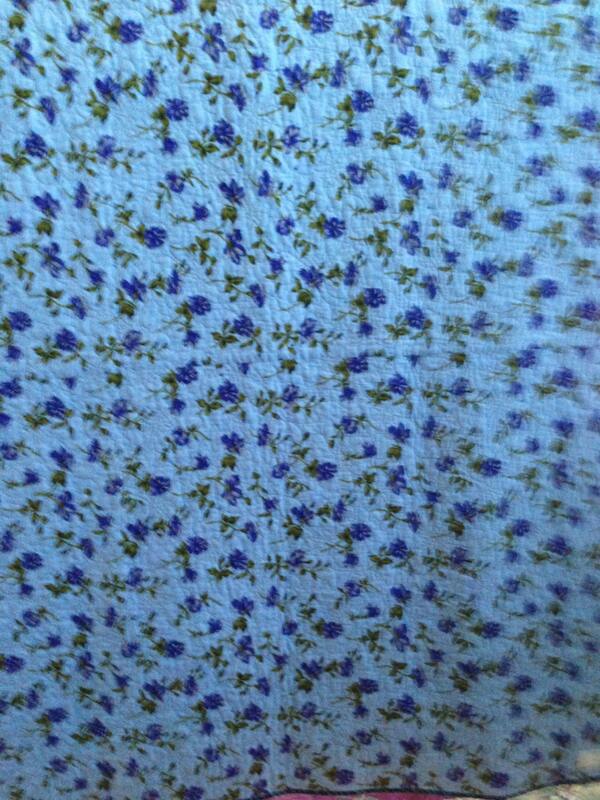 The quilt is beautiful and very well made. We hung it on the wall at the end of our very long dining table. I love it. Also, it was sent very quickly.